We are happy to present the great result of the collaboration with the 28 year old Austrian artist ANANDA. After three successful releases on YELLOW SUNSHINE EXPLOSION and FLOW EV Records, here comes his fourth release: ''Geometric Patterns''. Geometry is a branch of mathematics that deals with questions of shape, the relative position of the figures and the properties of space. A mathematician who works in the field of geometry is called a geometer. The same is true of progressive psytrance: it is a branch of electronic music that deals with the issues of volume, surround sound, melodies & harmonies, pressure and frequencies. 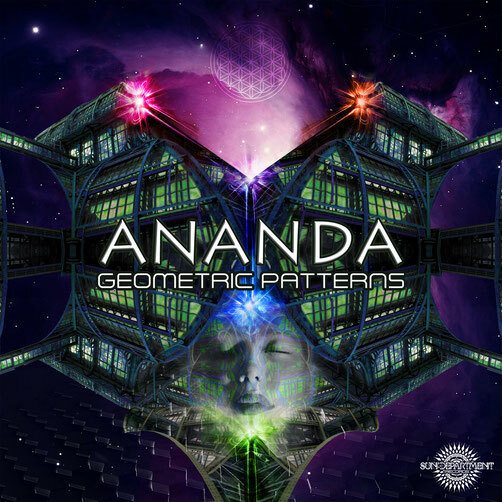 A musician working in the field of progressive trance is called a progressor - in this case Ananda. He combines harmonic ideas with psychedelic soundscapes, driving basslines and groovy percussions to create his unique style of mystical, melodic, progressive psytrance music.